The damaged hard drive data recovery tool can restore data from internal and external hard drive no matter those files are damaged or deleted. The devices which it supports are IDE, SATA, USB Hard Disk, SCSI, Memory card, USB Flash Drive, etc. 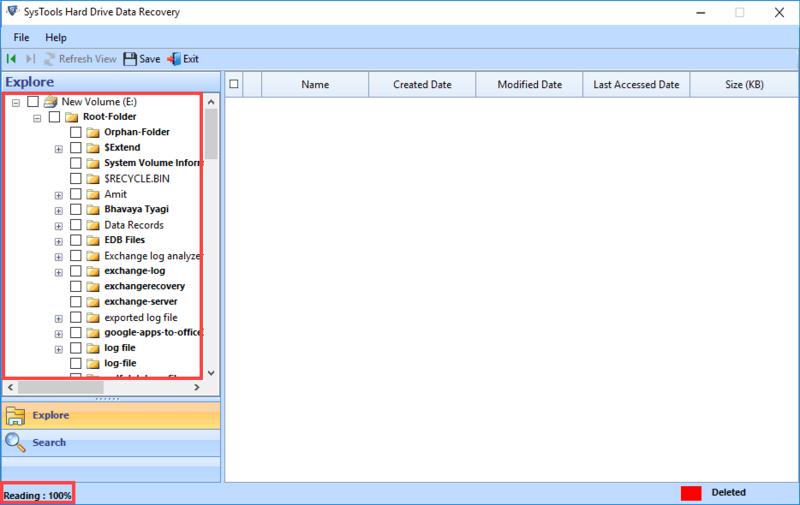 The tool makes it possible to recover deleted data from hdd (both FAT and NTFS). Hard drive data recovery software supports all versions of FAT and NTFS like FAT 32 bit, v1.0 (Windows NT 3.1), etc. Hard disk failure can occur due to corrupted MBR or MFT files which hold the most crucial information about each file which is stored in NTFS or FAT file systems. The hard disk data recovery tool can be used in these situations too. This software is designed to recover shift deleted hard drive data too. 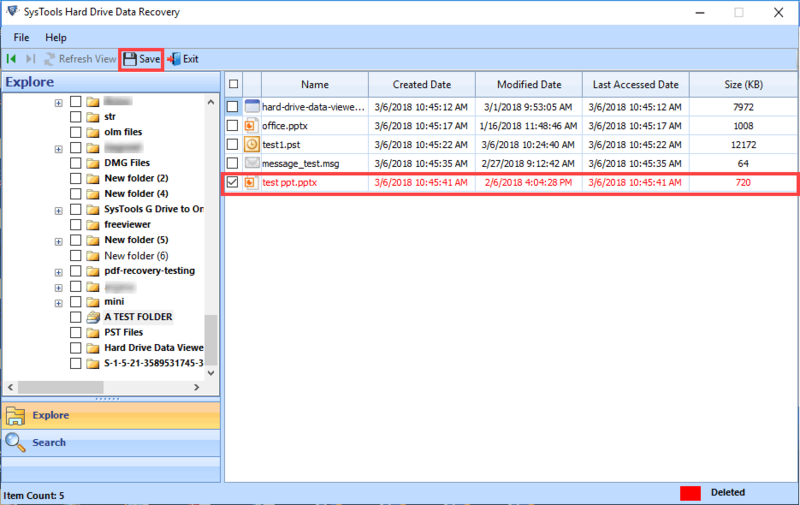 In case if you want to recover data deleted using shift+del command, then also you can use Hard Drive Data Recovery tool to retrieve hard disk data easily. 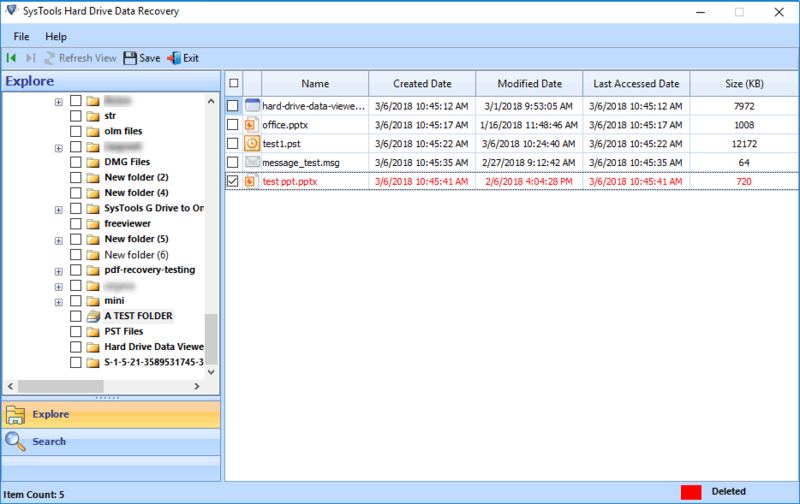 The hard drive recovery tool can retrieve files from formatted and reformatted hard disk partitions or drives like Local Disk (C:), Local Disk (D:), etc. of unlimited size. The corrupted hard disk recovery software automatically scans all the partitions available on the system once you perform the scan. 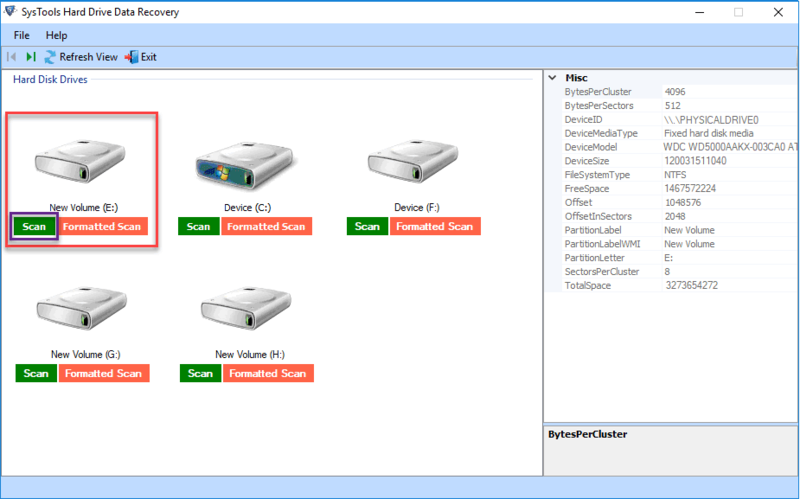 If you are unable to access any of the partitions on your machine then there is a higher possibility that your hard drive is corrupt. Then instead of formatting the disk, you can use hard drive recovery tool to recover your damaged data. Your search can be refined as you can search for a particular file or item within recovered data with the smart search feature of hard drive data recovery tool. You can apply date filters as well to search file by creation date or last modified date. Hard Drive Data Recovery software allows you to extract only selective folders from the recovered data. You can check/uncheck the folder that you want to export instead of exporting whole restored data. The utility provides an option to recover complete hard drive including important photos, videos, music files, documents, data files and other multimedia type of files from any Windows operating system; by keeping the original format & details intact. After complete drive recovery, recovered data can be restored and saved at any location as specified by the user. Further a new folder can also be created from the software panel in which data can be saved as per user’s decision making easy to recover data from corrupted hard drive. By using hard disk data recovery tool, you can export normal as well as permanently deleted data from every single folder of the hard drive. 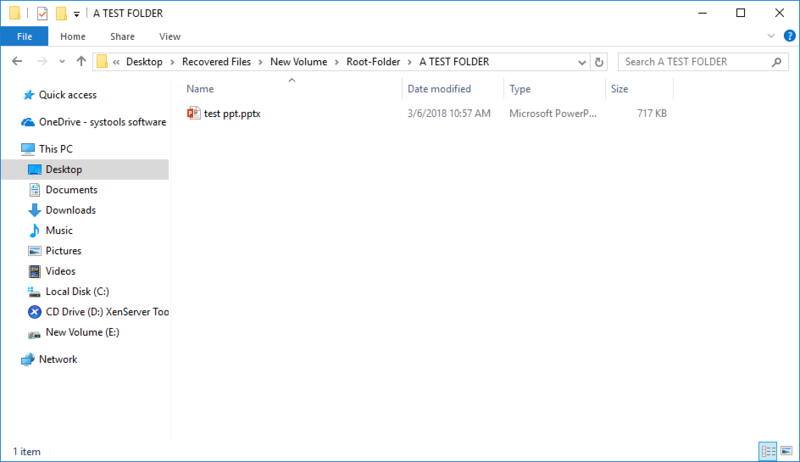 Recuperated shift deleted files are highlighted with red color in the primary folder of the tool. Whereas, the regained normal deleted files are stored in one folder and displayed in preview area. After the recovery process is performed, the utility maintains the original formatting of the disk. The hard disk data recovery software is capable for recovering complete data from each folder without any data loss and change in default formatting of files and other items present in the hard drive. The software is designed is such a way that it can auto detect all the hard drives present on the system along with their attributes such as model number, disk number, total size and free size. The Software instantly scan the hard drive and also provides an option to preview the recovered data along with its properties, making efficient for user to retrieve hard disk data. By using hard drive data recovery tool, you can sort the data by its properties while examining the recovered data items. Further data can be arranged in ascending or descending order by its name, size, type, date of creation and modification date. Download trial version of Hard Drive Recovery tool free of cost on your operating system. It will only generate a preview of entire restored items. Can I recover deleted pictures from hard drive? 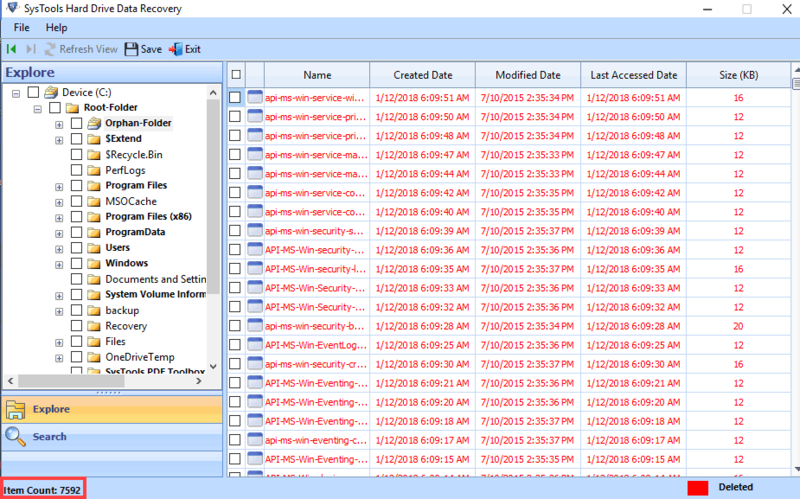 Hard Disk Recovery software supports retrieval of all file types which includes documents, executable files, dynamic link library, music files, images, etc. Any type of data stored on hard disk can be restored using this tool. Can I use this tool on Windows 10 OS? Yes, Hard Drive Data Recovery tool runs on all versions of Windows OS including the latest Windows 10 OS. Does your tool restore deleted music files from iPod? Yes, Hard Disk Data Recovery tool can recover deleted data from iPod. But that iPod should be FAT32 formatted instead of NTFS. What is the maximum size limit of data that I can restore using this Hard Disk Recovery tool? This tool does not enforce any file size limitation on the data recovery. You can restore up to terabyte size of data without any problem. Can I recover data from external hard disk? 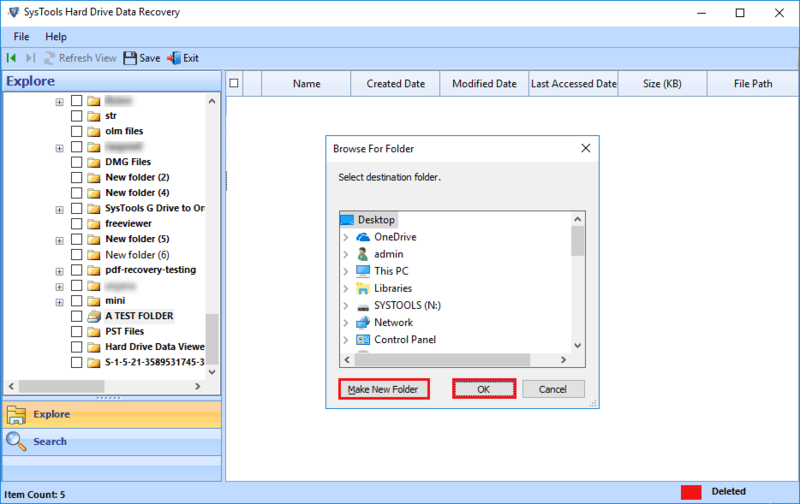 Yes, you can restore permanently deleted data from internal and external hard disk using hard disk recovery tool. I have an external hard drive of 50 GB and it got corrupted. How much time your data recovery software will take to recover all data? Recovery entirely depends on the size of the data to be recovered. Another aspect which comes into play is the level of corruption. If your external hard disk is severely corrupted then it will take more time to scan and recover your data as compared to less corrupted hard disk. 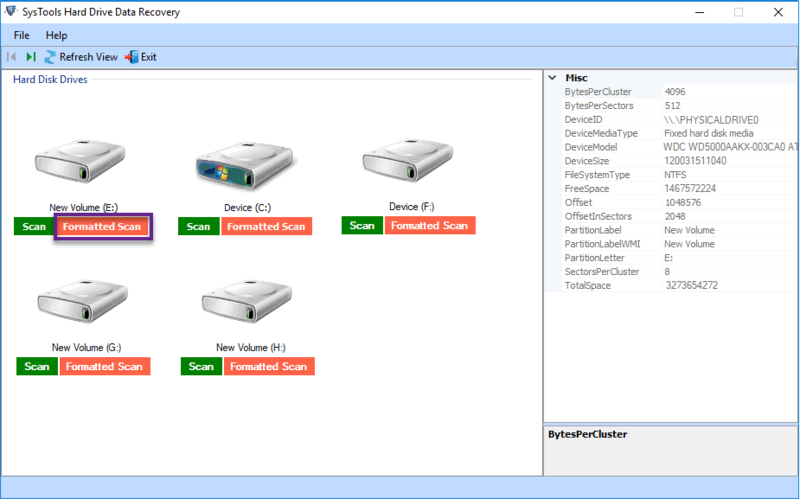 The hard disk data recovery in windows 8 was a bit difficult task for me but thanks to the developers of the Recover Deleted team for providing such a great hard drive recovery tool. The recovery process is so easy to perform and the results provided are so accurate. One great thing which I loved is it does not alter the folder structure of the data resulting in the ease to search files. I had a huge amount of data on my hard drive and one day I accidentally lost all my data in one go. It was so shocking for me as the deleted data included important documents, pictures and some other multimedia files. This hard disk data recovery tool not only helped me to recover deleted data but also recovered corrupted files as well. I would suggest everyone to use this tool who has lost his/her data. I had lost all my crucial data including some documents, presentations, etc. I was tensed so I started searching for a software to recover deleted files from hard disk. But when I got this hard drive data recovery tool, I was impressed with its ease of usage. It helped me restore all my data that too in several minutes. Step 1: Open Hard Disk data recovery tool. Two scanning options would be available to you viz Scan and formatted Scan. 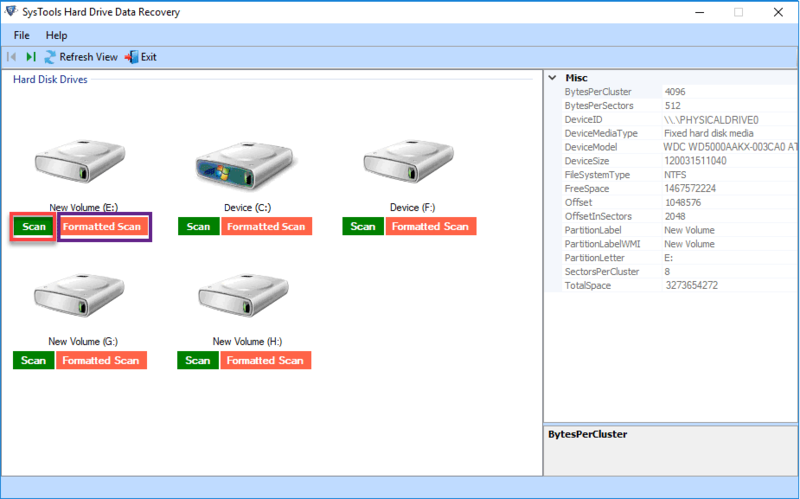 Step 2: Select the partition to be recovered and click Scan button. Step 3: After the scanning process you can view all the folders on the left-hand side of the software. 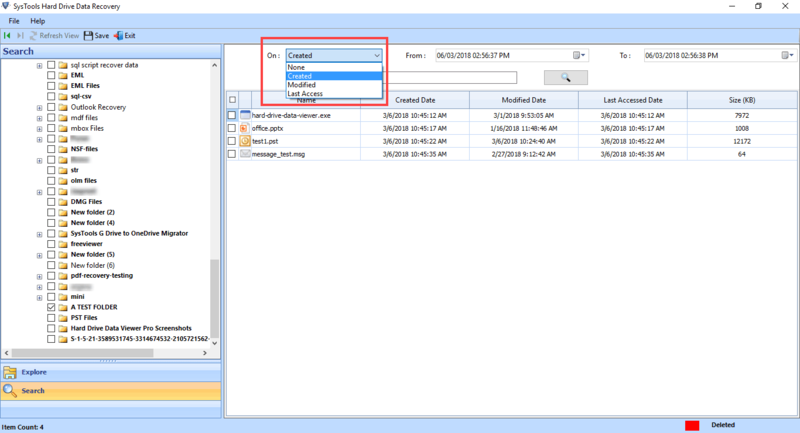 Step 4: Right click on a particular folder and view the data items in the right panel of the software. Step 5: The deleted files from the selected folder are highlighted in red. 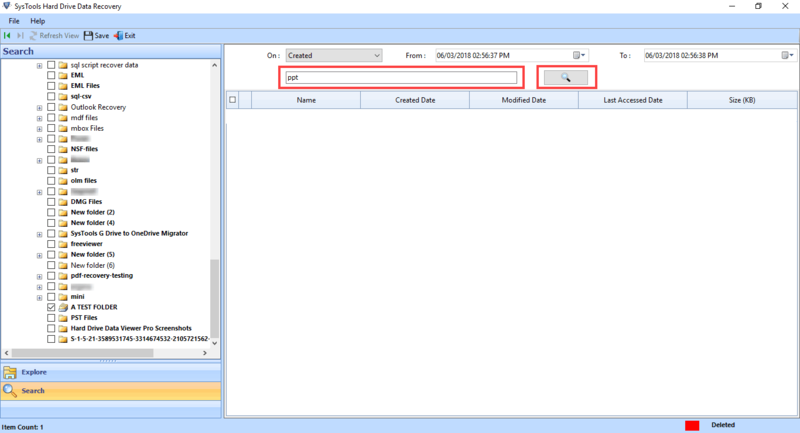 Step 6: Now, Select the files to be recovered and click on Save button. Step 7: Browse the storage location where you want to save the recovered data. Step 8: The hard drive recovery tool pops up a window indicating that Export process is completed. Step 9: Exported files can be viewed at the destination location. Step 10: Now, if your drive is formatted accidently then select Formatted Scan option to start the scanning process. Step 11: Now, after the scanning is complete select the search option from the drop down menu. 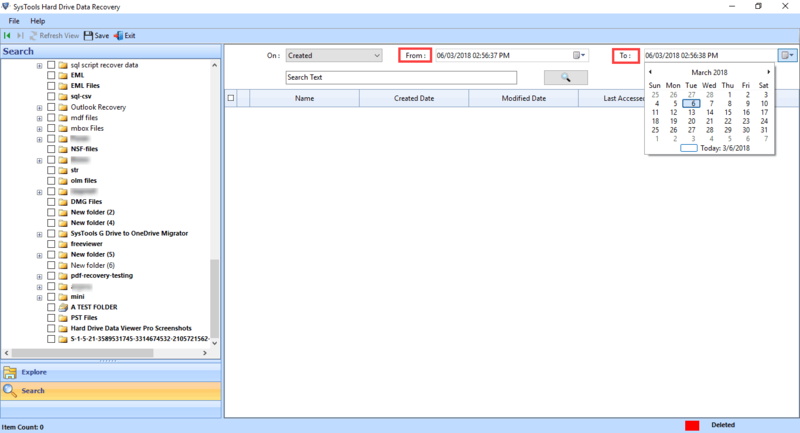 Step 12: Further date filter option is also provided which allows you to select From and To date. Step 13: Now, enter the file name in the search bar and select the search icon to start the search process.